Exporter of a wide range of products which include perforated sheets. 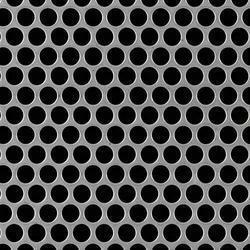 We are the leading suppliers of Perforated Sheets in india. Our sheets are tested on various quality parameters by our skilled personnel. These perforated sheets are designed and fabricated under the supervision of professionals using high grade raw material. Available in customized forms, these are used for various purposes. Features: Compatible Durable Corrosion resistant Specifications: Width : 600mm to 1500mm Material: Stainless steel, aluminium, mild steel Thickness: 0.4 mm to 6 mm.